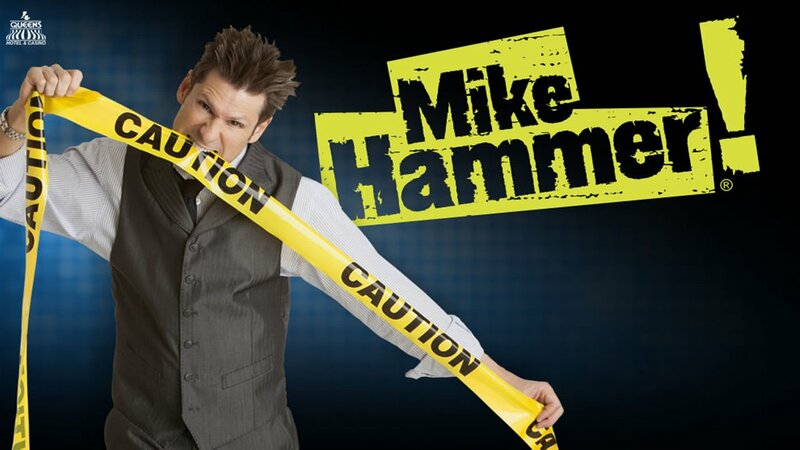 The Mike Hammer Las Vegas Comedy Magic Show brings a Strip quality sleight of hand show to Downtown. Downtown Vegas is going through something of a renaissance lately, and it was just a matter of time before more A-List entertainment started to move from The Strip to the stages in resorts dotting Fremont Street. The Mike Hammer Comedy Magic Show at the Four Queens is a perfect example of that. Mike Hammer is an energetic and expressive slight of hand artist. He keeps the show moving at a quick pace with good humor. 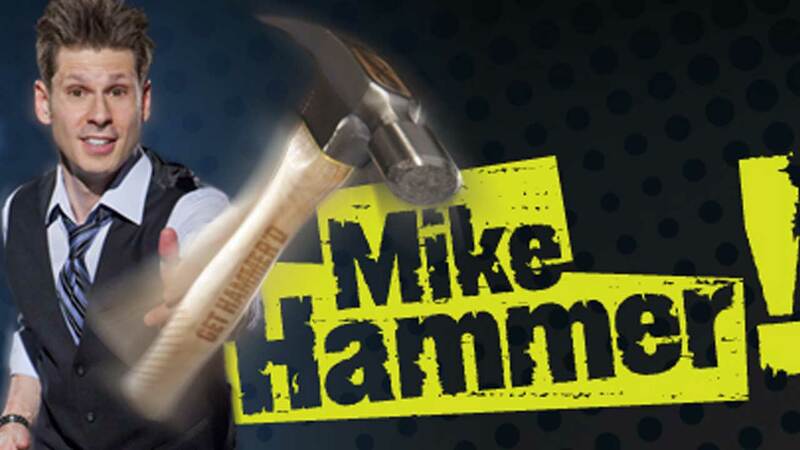 The show will have you laughing throughout, but Mike Hammer is careful to keep the whole act clean, which makes the show great entertainment for the whole family. Hammer shows off his skills as he escapes from handcuffs, swallows double edged razor blades, spins plates, juggles, performs card tricks and dazzles the audience with con games… and he makes it all look easy. Hammer prides himself on performing a highly interactive show, and he uses volunteers from the delighted audience in most of his illusions. Best of all, after the show he sticks around to meet and greet the crowd. The show is a fast paced and entertaining mix of “how’d he do that?” sleight of hand and laugh out loud comedy that the whole family can enjoy. BEWARE! Every show is loaded with 100% audience interaction. Nobody is safe. This is high quality entertainment playing on Fremont Street, and it’s more proof that Downtown Vegas is becoming an increasingly attractive place to spend your time.